with both print and download options! Check-Stubs was created with the independent worker and small business company in mind. We understand how difficult it can be to create pay stubs when you might not have the time or manpower to do them in house, so we offer a cost effective solution for your needs. Whether you freelance, are self-employed, or you’re a new entrepreneur who needs a record of your income, we make it easy to make a check stub for your business when you need to. As the leading check stub creator online we understand what people need, and we provide an alternative to high priced payroll companies. 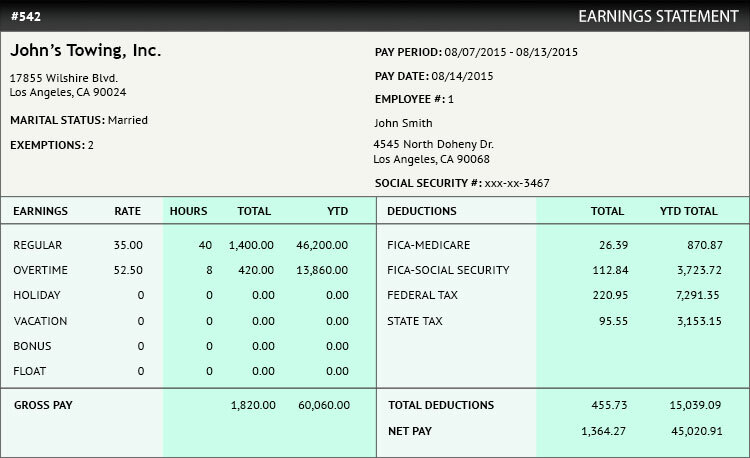 Our high quality, professional pay stub generator is perfect for any industry. After all, when you’re starting out in business it can be difficult enough, so why not make things a little easier by having solid record of your earnings when you need it? With the Check-Stubs website, all you have to do is plug in a little information and let our paystub creator do the rest. Our paycheck stubs are ready to print or download in no time, and now, getting your pay stubs online has never been easier. At Check-Stubs we also believe the personal information trusted to our website should stay just that – personal. We use the latest technology to ensure your every keystroke is private and that your information is safe. So when you’re ready to save time and money with a company you can trust, Check-Stubs is ready to help you with all your employee pay stub needs. Copyright © 2019 Check-Stubs.com, All Rights Reserved.